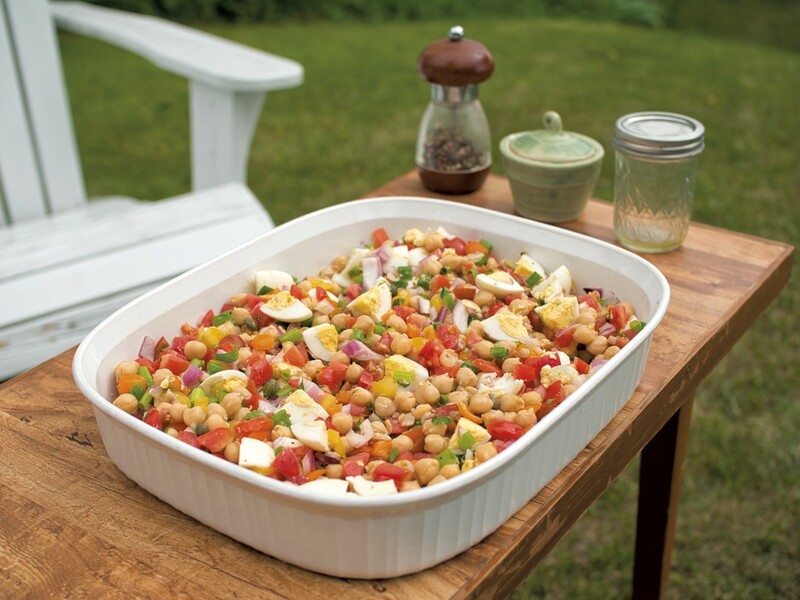 Italian Garbanzo Bean Salad: An Easy, Colorful Summer Dish | Mealtime | Kids VT - small people, big ideas! On some summer days, it's just too hot to cook. But everyone still has to eat! Though it might be tempting to just dig out a pint of ice cream for dinner, I'd like to offer a more nutritious option. This dish is inspired by an Italian salad called insalata di ceci. You can modify it depending on what produce is freshest or in season. When I made it, I used beautiful rainbow cherry tomatoes, which you can find at any good grocery store or your local farmers market. For added crunch, chop up some bell peppers. Like olives? Slice them, and add them to the mix. Want to make this a vegan meal? Leave out the pancetta and the hard-boiled eggs, and substitute tofu! The options really are endless. For a beautiful presentation, I like to arrange all of the ingredients in lines, bring the dish to the table, then dress and mix it. 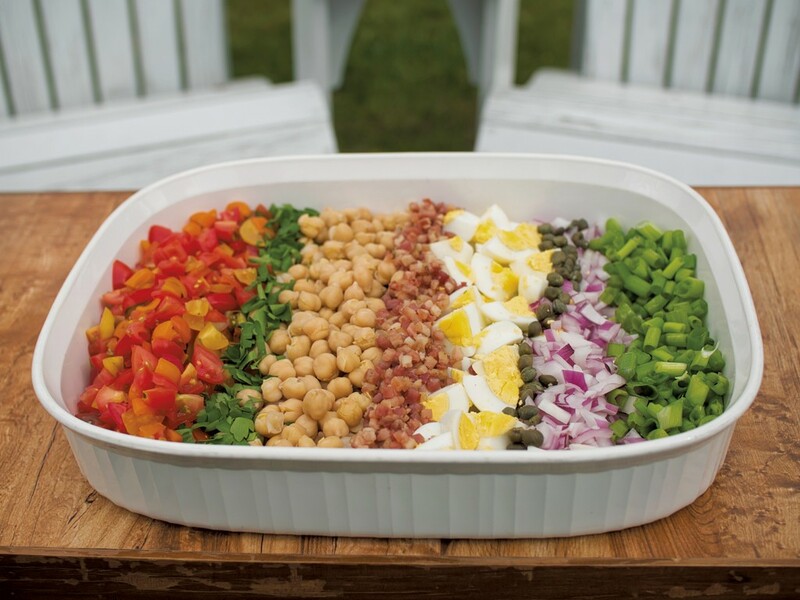 The vibrant array of color makes the salad ideal for company. I served the dish with roasted pork loin and a loaf of Italian bread, and it was a real crowd pleaser. It would also make a great workday or camp lunch, and it will last in the fridge for a few days. So go ahead, keep cool this summer. And save the ice cream for dessert. Pan fry the pancetta until crisped. Drain and set aside. Rinse and drain the garbanzo beans. Chop the tomatoes into small pieces. Dice the scallions and red onion. Chop the parsley. Quarter the hard-boiled eggs. Enjoy on a hot day, or anytime you want a lighter meal.